Medical devices play an instrumental role in the wellbeing and quality of life of Americans, yet many feel that they lack insight into the safety and effectiveness of the devices available to them. While there are a significant amount of resources available for both patients and physicians to learn about the potential risks and benefits of pharmaceuticals, Americans currently lack a a large-scale source of data on medical devices. While some manufacturers maintain individual commitments to transparency, for the majority of devices, no publicly-available resources exist to explore a device's reliability. This has led to the FDA-backed public-private plan to create such a system, which would "allow us to evaluate important questions such as the quality of the device, short and long term outcomes, comparative effectiveness across devices of the same type, and how the devices work in subpopulations such as age, gender, or race," according to Elisabeth Wynne, a clinician and visiting scholar at the Center for Health Policy, in a post she authored for the Brookings Institution's Health360 blog. Of course, developing and launching such a system will be a momentous undertaking. The Center for Devices and Radiologic Health (CDRH) put forth an original action plain in 2012, and that plan has since been continually evolving as a result of consumer and industry stakeholder input. Eventually, a multi-stakeholder Planning Board was originated in 2014 to better ensure the system addressed all patient, business and regulatory needs. 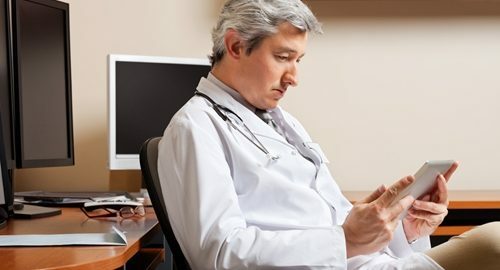 Some of the remaining challenges include striking the delicate balance between encouraging shared medical decision making and the limited time physicians now have in their workflow to facilitate additional data entry. Wynne explains that this will "require leveraging new data informatics and workflow technology to automate data collection and reduce manual and/or multiple data entry points" to alleviate the burden placed on care providers while ensuring timely and comprehensive data in the system. Ideally, physicians will stand to benefit significantly from this increased responsibility. There is a current lack of visibility into how well a device can perform among the general population, as clinical trials often involve "ideal" patient populations that may not be representative of the wide range of users in the market. Greater data on the short- and long-term effectiveness of medical devices can grant enhanced insight into its performance with specific subpopulations along lines such as age or gender. According to the latest estimates, the National Medical Device Postmarket Surveillance System is still several years from a successful launch. The Planning Board is currently developing a 5-year implementation plan and seeking support from new public and private partnerships. Until its launch, clinical trial data remains the preeminent resource for insight into medical device performance. Manufacturers can improve public and caregiver confidence in their medical devices through expert clinical trials data management. A device's body of clinical evidence plays an increasingly important role in physicians' decisions, and can help novel devices find a more welcoming market reception.